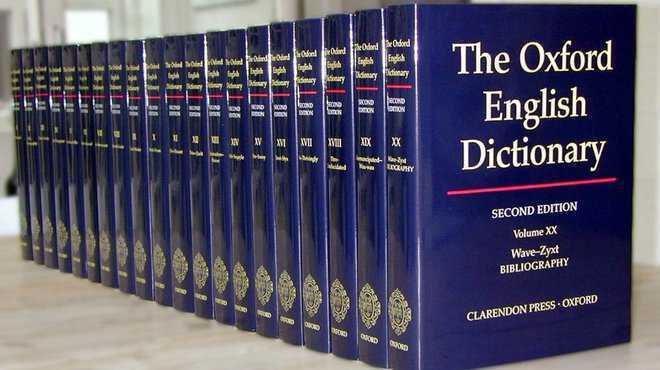 London, March 21: ‘Chuddies’, the Indian English word for underwear, is among 650 new entries recognised as official English words by the definitive ‘Oxford English Dictionary’ (OED) in a latest update released on Thursday. “Each new and revised entry has been painstakingly researched, and at no point have our editors simply mailed it in,” Jonathan Dent, OED Senior Assistant Editor, said. “Our coverage of British Indian usage gets an update with the addition of the dismissive ‘kiss my chuddies’, popularised as a catchphrase by actor and writer Sanjeev Bhaskar, playing one half of the teenage duo known as the Bhangra Muffins in the 1990s BBC comedy sketch show ‘Goodness Gracious Me’,” he said. The public appeal also yielded a host of Scots terms, including “bidie-in”, which the OED defines as “a person who lives with his or her partner in a non-marital relationship”, and “bigsie”, which means “having an exaggerated sense of one’s own importance”. The word “sitooterie” is another Scottish term to make the cut in the OED’s latest update, with editors Jane Johnson and Kate Wild saying that there is “something just generally pleasing about the word”.